However, true anxiety is a very real, very prominent disorder, and the rate at which its growing in the United States is alarming, to say the least. According to the Anxiety and Depression Association of America, anxiety disorders are the most common mental illnesses in the United States, affecting 40 million adults (or 18.1% of the population) every year. Additionally, as Time reported just one year ago, Americans are becoming increasingly anxious. A poll conducted by the American Psychiatric Association (APA) indicated 39% of 1000 adults surveyed reported are more anxious than they were at the same time the previous year. Another 39% identified as feeling equally anxious, and only 19% felt less anxious. According to experts like Care/of Scientific Advisory Board's Jeffrey Gladd, MD, and NYC-based Neuropsychologist Sanam Hafeez, you should always consult a trusted health professional first and foremost if you think you are struggling with anxiety or an associated mood disorder. That said, certain lifestyle factors and/or the strategic addition of certain vitamins or supplements can play a powerful roll in the management of anxiety in a more natural and homeopathic way. Nixing unhelpful habits like smoking or coffee dependence may help reduce anxiety, while increasing helpful antidotes like meditation, exercise, or even CBD might also be helpful. We wanted to take a deeper dive into the realm of vitamins and supplements and how they might be able to ease anxiety, so we asked our experts for their takes on the topic and which vitamins, adaptogens, and minerals they personally recommend for those struggling with anxiety or other mood-related symptoms. "With most vitamins, consistency is key," explains Gladd. "Taking vitamins regularly is the best way to ensure that your body has what it needs to respond to external stressors on a daily basis, and the most promising research on adaptogenic herbs like ashwagandha and Rhodiola suggests that they’re most effective over a longer period of time, so incorporating them into your long term routine is the best way to test out their adaptogenic properties." Gladd also adds that recommended doses can differ depending on the product (and your individual needs! ), so make sure you're only shopping high-quality options that are reputably sourced from trustworthy companies that pay attention to research and follow their guidelines for dosing on the package. Ahead, the 10 best vitamins and supplements to take for anxiety. Keep scrolling! "Magnesium is an excellent supplement for anxiety and is often called nature's Valium or the original chill pill,” says Hafeez. And interestingly, due to changes in the American diet (like fewer whole grains and more refined flours), many of us—roughly 75%, in fact—are deficient in the mineral, which, of course, doesn't bode well for the simultaneous rise of anxiety and stress. 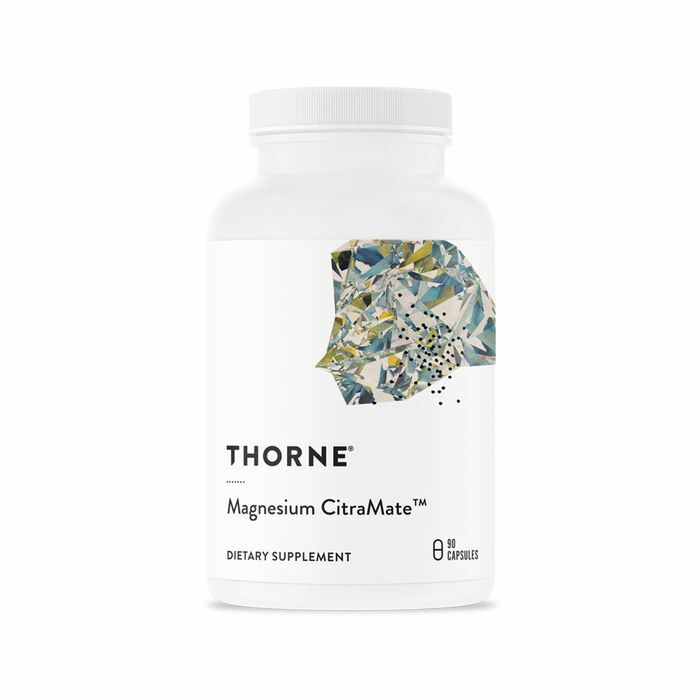 "Magnesium is mostly known for its ability to produce energy, but it also plays a vital role in the brain by forming solid neurological pathways that promote good communications between the brain and the body," says Hafeez. "One way magnesium counters stress is by binding to and stimulating GABA receptors in the brain," she continues. "GABA is a primary inhibitory neurotransmitter, one that puts the brakes on brain activity. When GABA is low, your brain gets stuck in an overly excited state, and it becomes impossible to relax." According to Hafeez, when our bodies are under stress, we naturally create stress hormones, inciting a domino effect of physical effects which actually use up our stores of magnesium. If you've been experiencing muscle tightness or cramping, Hafeez says you might be deficient and should check in with your trusted health professional. And if you choose to supplement, she quotes the recommended magnesium dosage in the United States is between 310 to 320 milligrams for women and 400 to 420 milligrams for men. While we're on the topic of the relationship between magnesium and GABA, Hafeez says supplementing with the latter can also be a beneficial way to support and manage anxiety. As she explains, Gamma-aminobutyric acid (GAMMA) is an amino acid and neurotransmitter in the brain, and when there’s a shortage, our anxiety levels can take a nose dive. Not good. "According to a 2015 review, supplements with GABA may help replace lost GABA, though more research is still needed. I recommend supplementing between 500 to 750 milligrams, and doses may be split across multiple tablets or pills or taken as a once-daily antidote. Again, we recommend checking in with your own health professional before ever beginning any type of new supplement or vitamin regimen. If you're familiar with adaptogens, by now you may have heard of their queen bee, ashwagandha. According to certified health coach, herbalism practitioner, and plant-based nutrition expert Stepfanie Romine, who I spoke with last year, adaptogens have actually been used for centuries in countries like China and Russia, representing the ultimate way to "bridge the gap between medicine cabinet and kitchen" within the holistic wellness world. One of their greatest claims to fame is the management of anxiety. "Adaptogens help the body adapt to both environmental and psychological stresses," Romine explains. They have a nonspecific response in the body, ultimately supporting all major systems including the nervous, endocrine, and immune systems." Additionally, scientific research has correlated adaptogens with improved adrenal function—the category's main and perhaps most beloved benefit. As Gladd explains, ashwagandha is an adaptogenic herb that’s been used traditionally in Ayurvedic medicine for centuries to help support stress and focus. Recent research has shown that ashwagandha’s adaptogenic properties help protect the body from feelings of overstress to keep the body in balance and focused." "Known as the 'golden root,' Rhodiola has long been used in both Siberian culture and traditional Chinese medicine to help support stamina, particularly when the body is exposed to stress," Gladd says. "More recently, research has shown that Rhodiola can help promote higher energy and overall feelings of well-being by supporting the body's natural response to stress. Paired together with ashwagandha, this can be a supportive combination to use for thriving in the face of stress." As Gladd explains, probiotics are commonly used to help support our digestion and immunity woes, but few people know they’ve also been studied for years for their impact on the brain and emotional health. "There are definitely direct connections between stress and digestive health, and the healthy bacteria found in probiotic supplements can help keep things in balance," Gladd tells us. "In addition to this, increasing research highlights the connection between a healthy gut and cognitive health." When it comes to healthy fats, a high-quality fish oil supplement is one of the best ways to ensure you're getting your daily dose. And recently, more and more research suggests a fish oil supplement can help support decreased anxiety and increased emotional health. "Research shows that in addition to supporting heart health, fish oil contains specific omega-3 fatty acids that can also impact mood," Gladd shares. "Omega-3s are the support beams of the brain and nervous system, so taking fish oil regularly can help provide support for healthy cognitive function during stress." On a more personal note, I first discovered 5-HTP (and its relation to the management of anxiety) while reading The Archetype Diet, a highly personalized approach to eating designed by nutritionist and cognitive behavior specialist Dana James, MS, CNS, CDN. After you take an in-depth quiz to find out which of four archetypes you are, James details a customized lifestyle strategy outlining the best approach to eating, exercising, and supplementing your body in order to reach optimum health. James recommended 5-HTP among three other supplements, but I'd actually never heard of it, unlike the others she suggested (magnesium, digestive enzymes, and a B complex). "Lysine—also called L-lysine—is an amino acid and one of the building blocks of your brain’s chemical messengers called neurotransmitters," Hafeez explains. "Studies have shown that people taking L-lysine supplements as natural remedies for anxiety had reduced symptoms of anxiety and reduced levels of stress hormones. L-lysine is commonly found in meat, fish, and beans, and is also sold as an oral supplement." In a nutshell, and according to Hafeez, B complex supplements contain all of the pivotal B vitamins that our body craves in order to function at its optimum level, many of which, she tells me, are vital to a healthy nervous system. "B vitamins may also help improve symptoms of anxiety and depression. You'll want to talk with your doctor, but on average, the recommended dosage will range from 300 milligrams to close to 500 milligrams. "Low energy and fatigue can contribute to irritability and stress levels, cites a helpful article we found on the Care/of website. "This is why the B vitamins, which are well-known for keeping energy levels high and improving cognitive performance, can have a positive effect." According to the article, research suggests regularly popping a vitamin B complex can help raise energy while simultaneously decreasing stress. 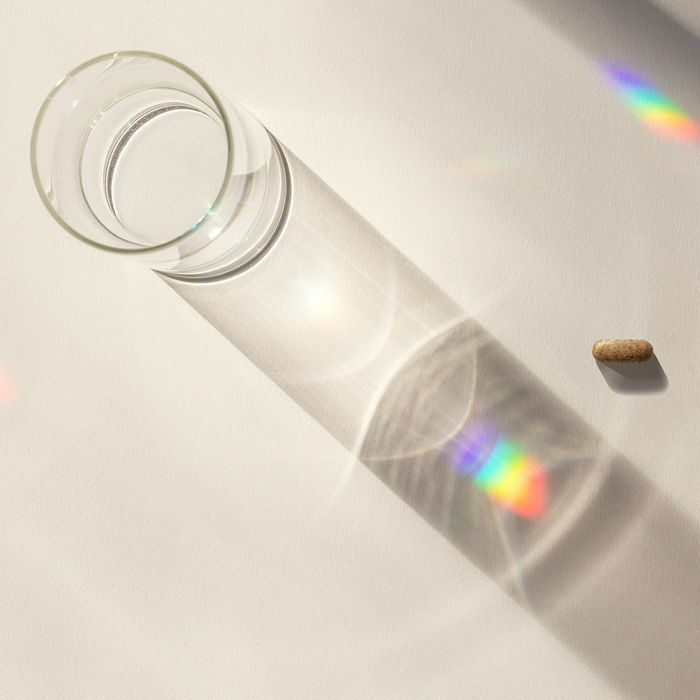 Plus, as discovered by clinical trials, this strategic grouping of vitamins may even be able to diminish “personal strain,” and depressed feelings triggered by high-stress environments. Another recommendation from Hafeez, L-theanine (an amino acid naturally found in green tea, black tea, and certain types of mushrooms) might also help reduce symptoms associated of anxiety, and research backs up her claim. According to a report we found from Medical News Today, L-theanine might impact the activity and concentrations of certain brain chemicals, including both serotonin and dopamine. Both of these chemicals can affect our mood, sleep, emotional well-being, and cortisol—a steroid hormone that helps our system cope with stress. A change or imbalance of any of the above can alter our mood, anxiety, or stress, so it's thought that supplementing with L-theanine might help balance out the levels of these certain factors.